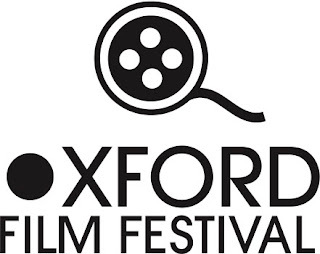 The Oxford Film Festival opens this week in Oxford Mississippi and if you can you must go. The festival is just good people, good films and great food. I have been interacting with the festival for the last two years and I have had a blast each time. After last year I had been planning on attending this year however because of some things going on in the day job I was unable to attended. As this posts I’m still working on coverage. Look for some reviews of some films over the course of the festival. If you need a pointer as to what to see try anything thing. Whatever they schedule is worth trying. However I highly recommend their short collections. Beautifully curated groupings of films will deepen your love of the form and make you wonder why more festivals don’t do shorts like this. If you can get to Oxford I highly recommend you go. All the details for the festival can be had here. As we slide toward our seventh birthday a week from Monday we'd be all excited with the upcoming Film Comment Selects. FCS was the first festival we covered, literally the second day of of our existence, and it has been something we've covered every year since. It has always been the coolest festival showing a great cross section of really great new film and some wonderful older films. This year I'm not saying much because I this year I have very little to say about the series. It isn't for lack of love, rather I'm not pumped up to rush to see the films largely because most of the films are getting releases later in the year so for me there isn't a big rush to see everything. The one film I most want to see, Terrence Malik's VOYAGE OF TIME, which unfortunately I have conflicting plans for so I'm going to miss it. Where in years past the festival focused on a selection of films that are difficult if not impossible to see otherwise this year its highlighting things to come. I have already reviewed and I highly recommend HAIL MAFIA which runs next Sunday. DOGS is a good looking but brooding Romanian film about a guy who finds out his family owned land on the Ukrainian border as well as other secrets. Some great shots and a few good sequences punctuate this brooding tale that seems to think it's about more than it is. If you are a fan of brooding Romanian films give it a go. A full review of the documentary BITTER MONEY will run closer to the film screening. For tickets and more information please go here. I have to apologize for picture problems that are now occurring on some of our older post. How the art was linked up has suddenly become a problem. I will be trying to rectify the situation until then bare with us. I've seen all of the Oscar nominated animated shorts and I'd like to think that none of them will win the award. If I must choose either Pearl or Vaysha though I suspect Piper will actually win. This week lots of new releases, Oscar catch up and some festival films.